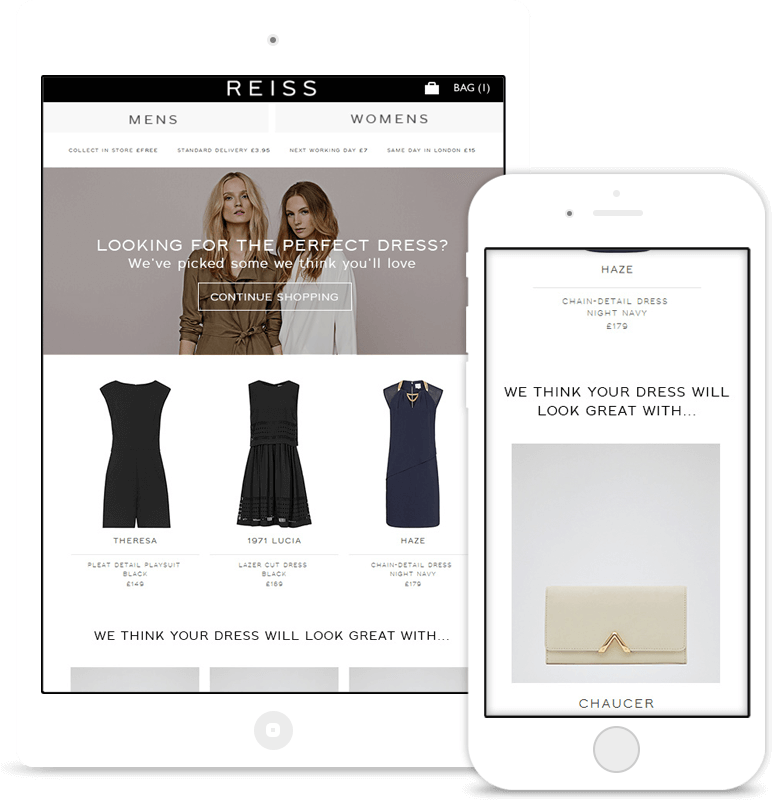 Only 3% of website visitors make it past the product page. Remind them what they came for with browse abandonment recovery. A visitor on your website has browsed a few pages but not added any items to their shopping cart. 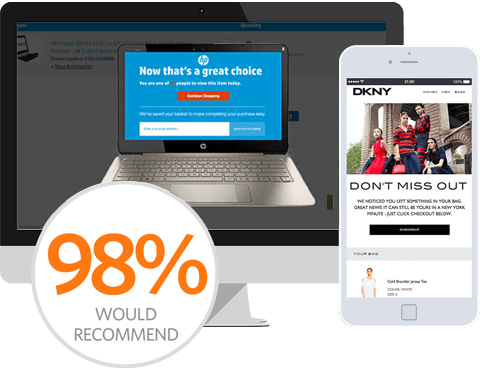 SaleCycle sends an email with personalized recommendations based on your visitor’s browse history. Links bring your visitors back to the products pages giving them a second chance to buy. Here's the stuff that makes our browse abandonment emails fly. Dynamic Segmentation	Relevant content for different visitors. 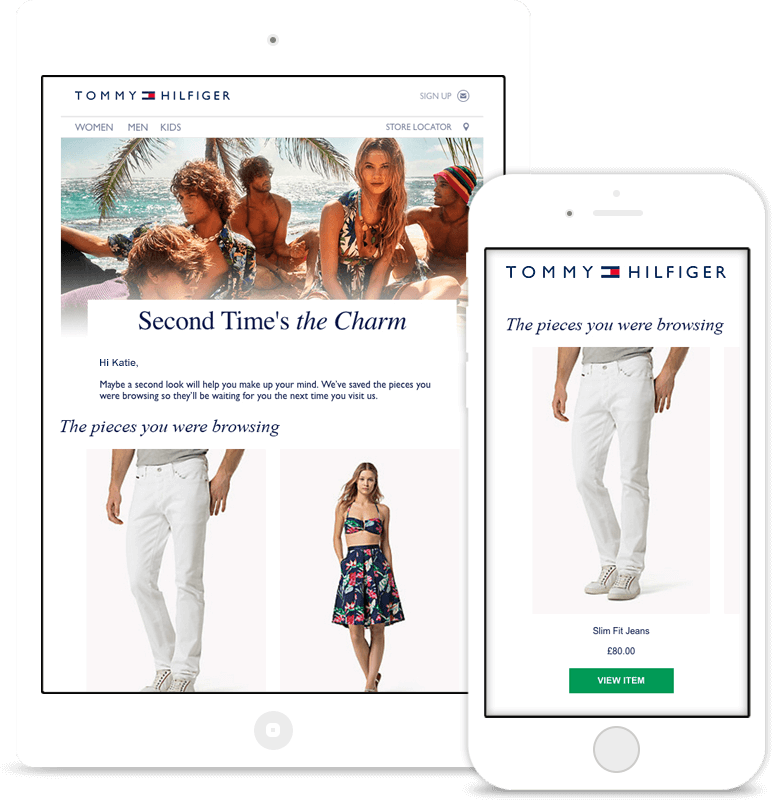 Use your shoppers’ behaviours and interest to segment your browsers and send them the highly-targeted browse abandonment messages. Change your messaging to address different customer groups. Change message based on gender or location. Highlight free or next day delivery if the items browsed qualify. If the items your shoppers viewed weren’t quite hitting the spot, suggest alternatives to bring them back to your site. Personalize based on what items were browsed, or what items are most popular. Display products from same category or price range. Show the most purchased items from the selection browsed. Highlight your product reviews and ratings in your emails and put your browsers’ minds at ease. 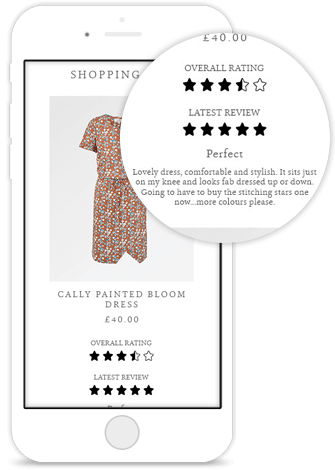 Give your shoppers confidence with genuine product reviews. Include live feedback scores from Reevoo, Trustpilot, Bazaarvoice and more. Choose when to show or hide ratings based on recency or overall score. Flip through inspirational email remarketing designs from some of the world’s biggest brands. Discover how to use remarketing effectively to reduce abandonment, and recover abandoned sales. Up your personalization game without having to up your resource through best practice. 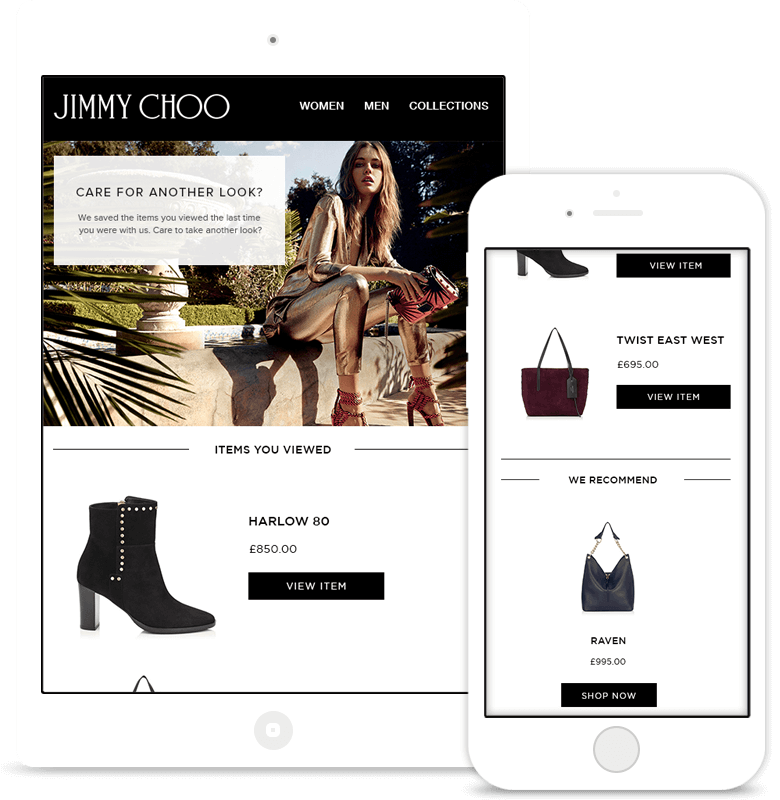 How can ecommerce brands tackle frustrating browse abandonment? An overview of how browse abandonment emails can work for you. 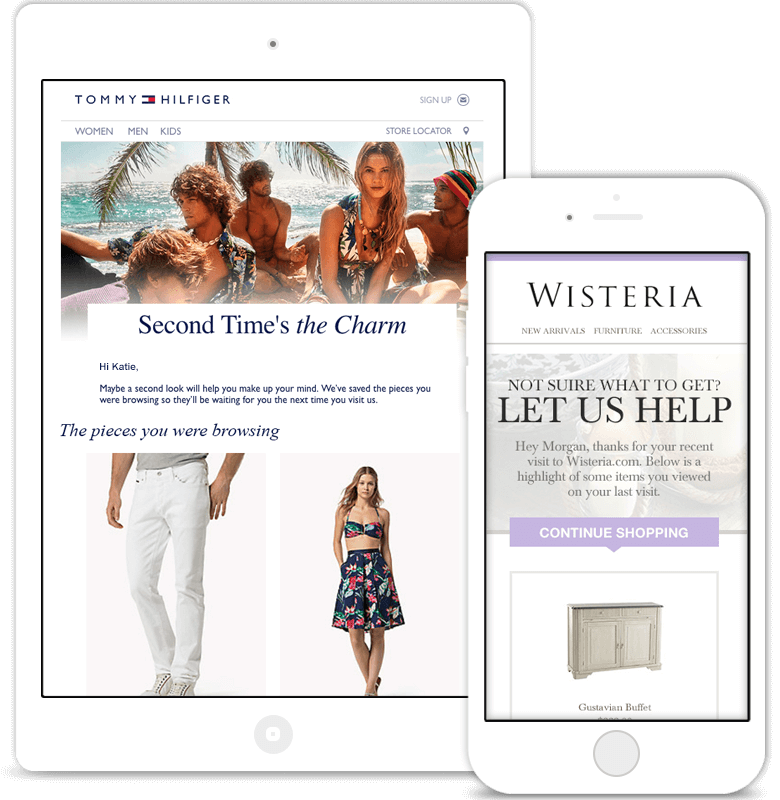 The role that Browse Abandonment Emails can play in your digital arsenal. A true story about product recommendations in email remarketing. 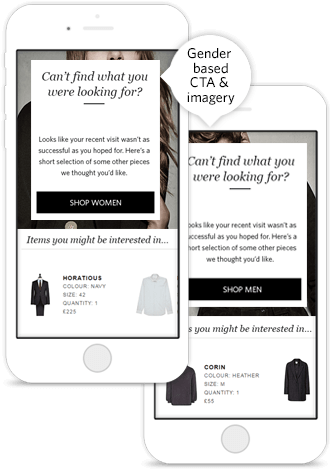 Great examples of personalization, a key area of focus for marketers. 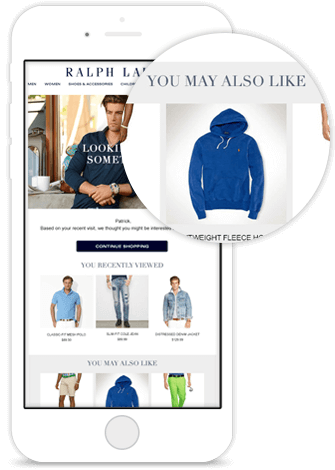 SaleCycle CMO, Chris Sheen, explains what browse abandonment is and walks through a couple of tactics that ecommerce brands can use to help tackle it. 02 How long should I wait to send the email? Your choice. We recommend sending within 1 hour, but it’s completely up to you. At SaleCycle, we let you decide how long to wait after the abandonment before you send the emails – or just split-test different times and let your customers show you what works best! We’ll take into account which products were viewed, the order in which they were looked at, and for how long. We’ll send the three highest ranked items from these, and match them with items that have been purchase alongside these by other shoppers.